Jacksonville emcee Yungeen Ace processes his pain through his music, delivering ruminative and soulful rhymes over Dirty South beats. Giving the visual treatment to one of his most heart-wrenching tracks, Yungeen Ace shares the video for “2X Screamin’,” a tribute to his late brother Tre’Von Quan Quan “2X” Bullard. Last June, Ace, 2X and two of their friends were attacked in a drive-by shooting, wounding Ace and killing 2X and the others. Ace suffered eight gunshot wounds in his attempt to shield 2X from the hail bullets. Produced by DeeMarc, who delivers an appropriately subdued instrumental, “2X Screamin” finds Ace rhyming from 2X’s perspective as he looks down from heaven on his younger brother’s skyrocketing career, noting the ways Ace has changed since that fateful day: “Mama, Mama, save Ace for me/He’s all alone, cryin’ inside, no one can see.” A highlight from Ace’s recent Life I’m Livin mixtape, the HYPEBEAST-premiered “2X Screamin'” finds Ace wracked with guilt, knowing that his career success will forever be tied to the death of the one he loved most. The video collects grainy images of Quan and Ace together, combined with more recent footage of Ace’s recent career highlights and new footage of Ace visiting his brother’s grave. Comprised of nine emotional and hook-filled standouts, Life I’m Livin finds Ace taking stock of his place in the world. The follow-up to his successful debut mixtape Life Of Betrayal, Life I’m Living finds Ace reckoning with his rise and with his past, as he tries to shake the habits learned in a rough neighborhood in riveting tracks like “KSO Homicide,” and warns others against living a life of crime in “Life I’m Livin.” The new project hosts the single “I Can’t,” which has over 1.9 million views on YouTube since its release in December, which finds the Cinematic Music Group-signee speaking out against the justice system and the faithless friends who sold him out. Life I’m Livin debuted via Audiomack, where it immediately became the #1 album in the platform’s trending charts. 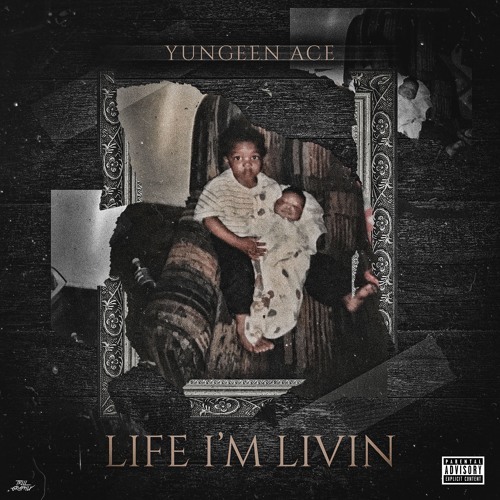 Stay tuned to much more from Yungeen Ace in the coming year. Yungeen Ace has built his massive following by standing alone. At 20, the artist born Keyanta Bullard describes his city of Jacksonville as “a jungle.” Originally a Chicagoan, he moved to Duval County, Florida as a child with no friends. Despite 11 brothers, Ace learned fast that if he wanted to survive, he could only rely on himself. “It’s hard out here. Everything we do, we gotta fight for it. We’ve got to go above and beyond just to make it. The surroundings are crazy. It’s a creep city. Nobody is for you out here, so you have to be really for yourself.” In June of this year, Ace was the lone survivor when a car he was riding in was ambushed by a drive-by shooting on Town Center Parkway. Three friends died. Just freed after a bid, the moment was a painful and chilling reminder of the violence epidemic for Ace. It was a dark spot in an otherwise upbeat time. The rapper recently signed with Cinematic Music Group, a label responsible for propelling key new musical voices into the mainstream. With his debut mixtape Life of Betrayal having dropped this past August, Ace is next.